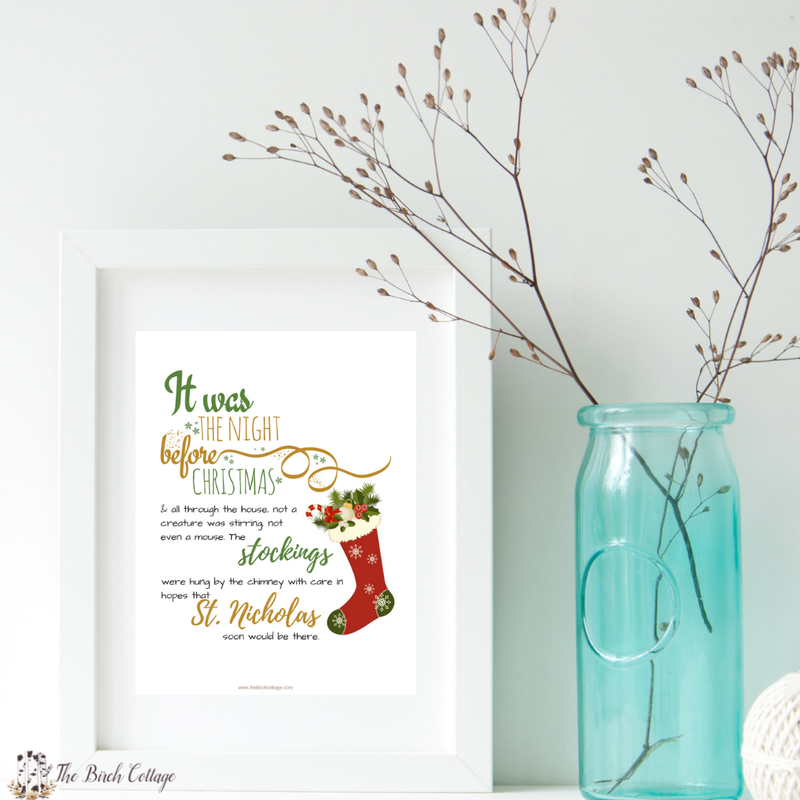 Download this free It Was the Night Before Christmas print to add a festive and whimsical touch to your home decor for the holiday season! Who doesn’t cherish the familiar “A Visit from St. Nicholas” Christmas poem from Clement Clarke Moore? In fact, in our home, we have story time every Christmas eve and it always, always includes a reading of this classic. From the classic colors of red, green and gold to the vintage knitted stocking, I just adore this It Was the Night Before Christmas print. I hope you will, too! Sign up to get the free printable It Was the Night Before Christmas print using the form earlier in this blog post. Then download the free PDF and print your preferred design. Remember, choosing the highest quality settings in your printer settings will give you the best quality print. 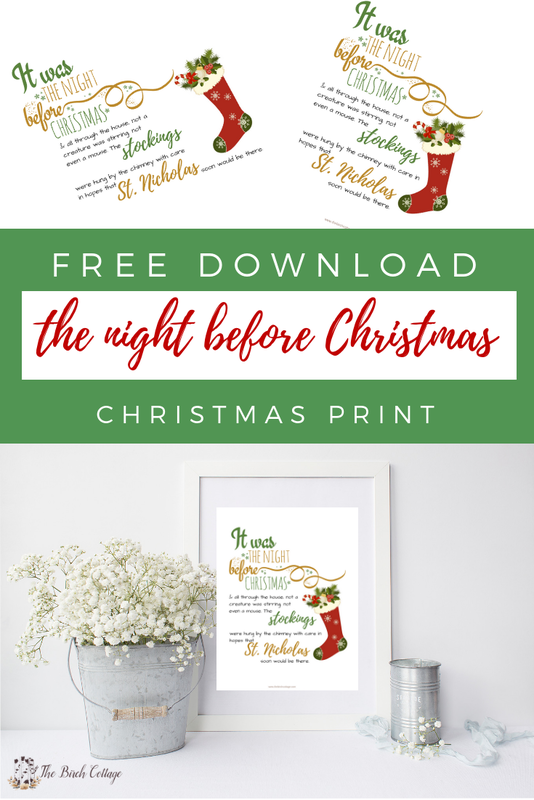 I hope you enjoy this set of free printable It Was the Night Before Christmas prints and find them to be useful for your holiday decorating. Even though I've signed in before, I did again to get the holiday prints offered. When it says to confirm my subscription, nothing happens. I have not received an email, etc. Please let me know what I might be doing wrong. Is there a place for me to "sign in" since I already receive your emails? I really like your prints and would like to continue to use. Thanks! Peggy, there should have been a link at the bottom of your message to go to the Subscribers Resource Library. I’m gonna have to look into a service that actually sends the documents. I’m really sorry about that. I will email you the link. Thanks for letting me know! I can find no link to confirm my subscription. Hi, Diane! When you signed up, you should have received an email message asking you to confirm your subscription.